View in our product catalog. 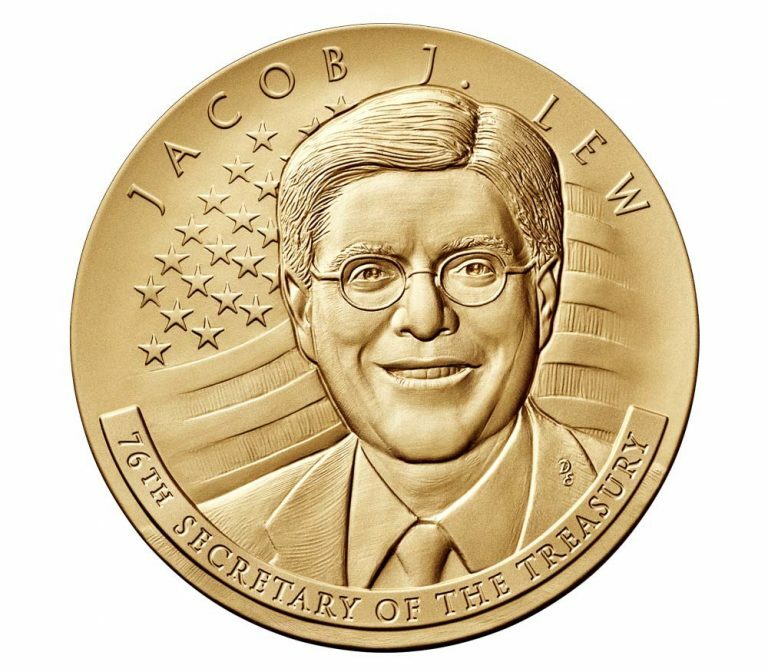 The Treasury Department has a longstanding tradition of striking an official medal for each Secretary of the Treasury. The Mint produces the medal under the general authority of 31 U.S.C. § 5111 (a) (2), which states that the Secretary may prepare and strike “national and other medals” if it does not interfere with regular minting operations. Since the 1890s, the Mint has prepared, struck, and distributed medals for 33 of the 35 Senate-confirmed Secretaries. 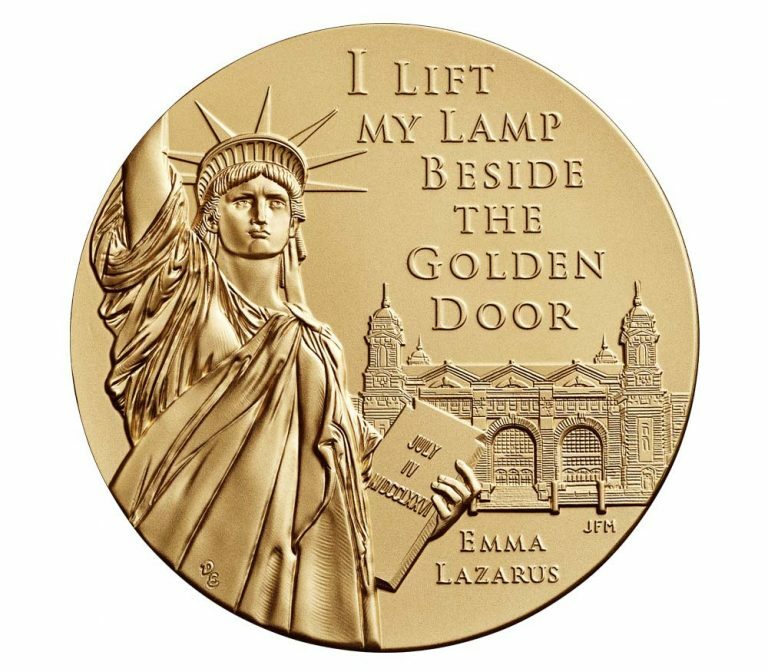 Reverse Design: Features a depiction of the Statue of Liberty and the main building on Ellis Island alongside a quote from Emma Lazarus.